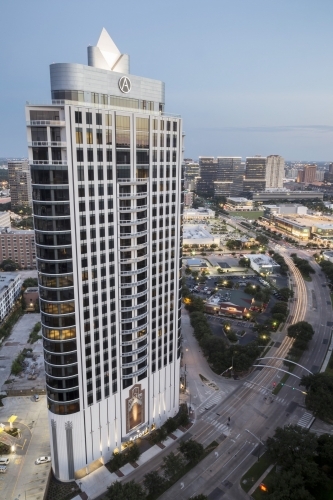 What’s the secret to the fastest selling high rise in the history of Houston? Randall Davis. His property the Cosmopolitan soared to new heights that his subsequent properties, The Astoria, The Marlowe, and The Arabella plan to exceed. With only one unit left at the uptown condos The Astoria, it’s easy to see a trend in Houston real estate: properties with attention to detail and designer finishes perform well. You already know what differentiates Randall from other designers, but let’s focus on The Astoria and its totally unique facets and building story. What started as a dream for DC Partners CEO, Roberto Contreras, and Randall Davis blossomed into the towering accomplishment that is The Astoria. With the help of EB5 and investors from all over the world, the 29-floor high rise was limited to just 75 units in order to provide a more private and luxurious living experience. 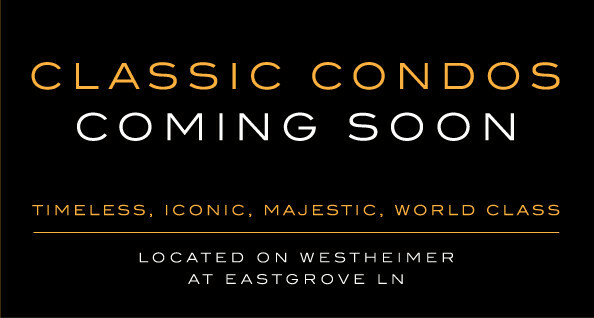 Luxury condos in Houston can be a cut-throat business, but The Astoria is so much more than just “nice apartments near the Galleria”. As with all of his projects, Randall Davis had a vision for The Astoria. He saw opulence, classically inspired architecture, and one-of-a-kind features. Astoria is a combination of modern architectural elegance with art deco features. This is a home for a select few. With stunning views like the one above, it’s difficult not to see just why The Astoria is such a sought after property. No need went unconsidered when it came to amenities. Origami tubs, pull out pantries, and customization options galore ensured that investors would attain a truly unique unit in this exclusive Houston high rise condo. The Houston Business Journal snapped a few informal photos of what a “typical” Astoria unit would look like. Similarly to how Randall Davis views new projects, The Astoria encourages people to “make your ideal home come to life.” Unlike some developers, Randall gives investors the tools they need to do just that. “Our only standard is perfection” might seem like an empty motto, but the reputation of Randall Davis properties unquestionably proves otherwise. Moving forward, Roberto Contreras and Randall developed the properties The Arabella and The Marlowe to further capture a new vision for the city of Houston. Be sure to check out their blogs for progress updates!